Women’s Health Magazine Features Kona Tanning Contouring Tips With Sofia Vergara on the Cover! Pick up this month’s issue of Women’s Health Magazine to check out Kona Tanning Company’s contouring tips, in a new interview with Kona Tanning CEO and Victoria’s Secret Fashion Show body makeup artist Katie Quinn! 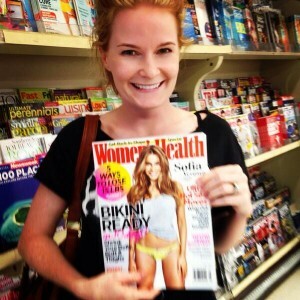 We love Women’s Health Magazine! > Read more beauty tips by Kona Tanning Company that made it into the magazines.